A leading player in the igaming industry, Net Entertainment (or Netent) is at the moment one of the main online casino games developers. Always at the forefront of innovation, the company has been offering complete solutions to many involved in the market for almost two decades. Netent made its name with its very innovative 3D slot machines and Netent also develops live casino technology. Founded in 1996 by a group of Scandinavian land based casino operators, Netent is a Swedish company specialising in the development of online casino games. As one of the first such developers, the company uses the vast experience gained by its directors to offer services and solutions adapted to the needs of online casino operators. Netent uses JAVA technology to develop its partner operators’ platforms. Thanks to its innovative products, the Swedish developer became a leading group in the industry. The company has won several prizes for both the exceptional quality of its games and for the exceptional winnings it enables players to win. Nowadays, with almost 20 years’ experience, Netent is part of the backbone of the igaming industry thanks in particular to its new 3D slot machines that are among the best available at the moment. Using Java technology, Net Entertainment’s online platform doesn’t need to be downloaded. This ultra-modern software incorporates many aesthetic and practical functions. Extremely secure and regularly updated, it offers casino operators a complete back-office system and a totally flexible payment system. It exists in many languages and supports mobile devices. So it can adapt to any operator needs. Netent’s selection of games is well known for its eclectic nature and its excellent quality. It is made up of more than 150 top quality games including the highly regarded 3D slot machines which have added to the Swedish developer’s fame. Well known for their excellent graphics and various functions, they guarantee a great and also very lucrative gaming experience. A main feature of Netent’s range is the progressive jackpot slot machines with incredible amounts to be won. The Swedish developer holds the record for the highest online jackpot when 17.8 million euros were won in January 2013 on the MEGA FORTUNE machine. Net Entertainment’s range of games also includes many other conventional casino games that are found in land based casinos: blackjack, baccarat, craps, roulette, sic bo etc. Developed with care, they also guarantee a very realistic gaming experience much to players’ delight. 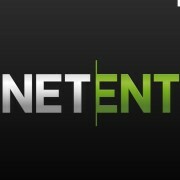 Netent has diversified and become a live casino developer with its Net Entertainment Live Casino brand. Its live streaming solution offers casino operators an all in solution with live dealer roulette, baccarat and blackjack tables. Pretty Scandinavian female dealers host the tables and the studio décor is worthy of any land based casino. Net entertainment’s software is now used by more than 100 online casinos mainly for its 3D slot machines. From this long list we’ll mention Dublinbet, Tropezia Palace Casino and Lucky 31. Among the live casinos using Netent as its supplier of table games with live dealers, Eypobet Casino, Casino Noir and Paris Casino are on our list of online casinos using its tables.